There are two components to abdominal fat. Subcutaneous fat lies just below the skin, and it is the fat you can pinch with your fingers. But it is the visceral fat, the fat located behind the abdominal muscles, that is the major risk factor in cardiovascular disease. Visceral fat is associated with insulin resistance and lipoprotein metabolism (cholesterol). 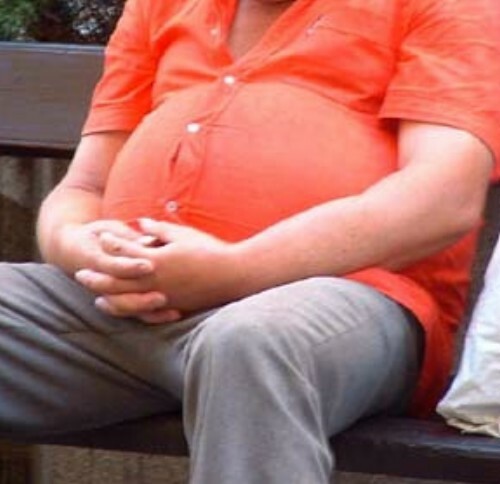 People with excess visceral fat have higher triglyceride levels, and lower HDL (“good” cholesterol) levels. So, all you guys with beer bellies — take a hike!